The environmental impact of housing is considerable. Each year in the UK, domestic energy use accounts for around 30% of energy consumption, and the materials used in house construction account for 10% of mineral extraction and 1% of climate change. Whilst energy efficiency initiatives over the last 30 years have reduced the energy needed to heat a typical house considerably, the development of initiatives to reduce the impacts arising from construction materials has been comparatively slow. Of the written information available to date, most has lacked practical guidance and has proved difficult for designers and their clients to interpret. 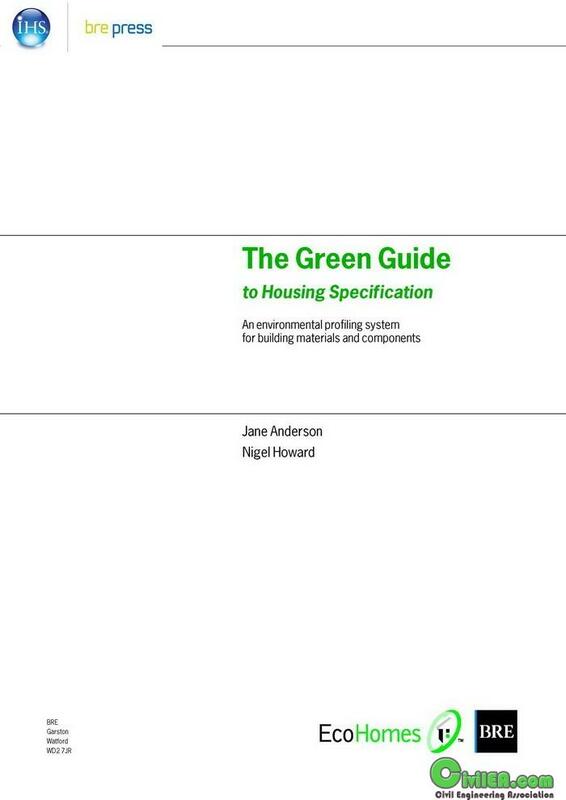 This handbook provides a ‘green’ guide to specification of construction materials for housing which is both easy to use and soundly based on Life Cycle Assessment (LCA) studies of the environmental impacts of different materials.